The Minister's Wife will show you how to make perfect cupcakes, turn out well-groomed children every Sunday morning and rise to the lofty heights where criticism cannot reach. In short, you will quickly become the model minister's wife. Unfortunately not. However, what this book will do for you is help you to look honestly at the privileges and problems of the manse and the rectory. It will free you up to become the best you can be, unencumbered by nagging concerns about issues that don't really matter. You are first and foremost a minister's wife before God. What a privilege! This book looks also at the minister's wife's responsibility to her husband and children, as well as to her wider family. It looks at the often-overlooked perks of the job, as well as at thorny issues such as boundaries, forgiveness and forbearance. This book contains wisdom from eight women, distilled for a wider audience. It will be an honest friend to the minister's wife, whether experienced or starting out. 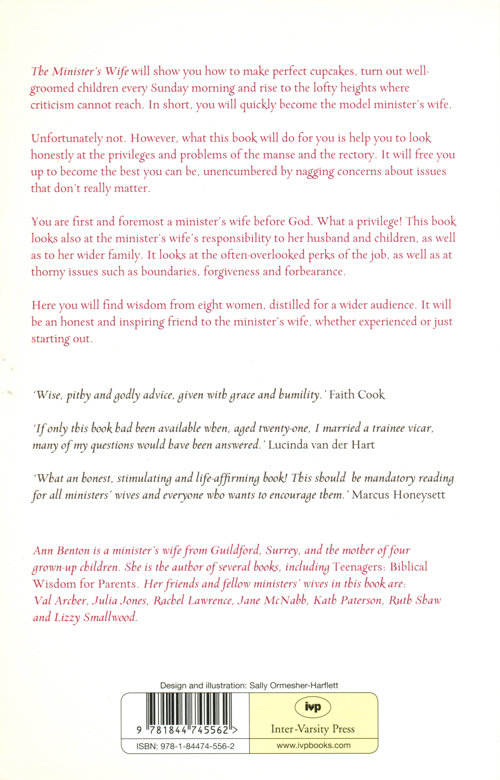 The Minister's Wife by Ann Benton was published by IVP in October 2011 and is our 22559th best seller. The ISBN for The Minister's Wife is 9781844745562. The Minister’s Wife is a thoughtful attempt at providing a handbook for those embarking on a life as a minister’s wife as well as for those already in this role. To put the book down at this point would be a shame. Further chapters, written by several different clergy wives deal honestly and constructively with the privileges, pressures and pitfalls of life in the vicarage or manse. Covering the responsibility the wife has to God, her husband, her family, the parishioners and wider community it also pays equal attention to the importance of retaining her own integrity and of not being squeezed into inappropriate moulds. Not only does this book deal with the difficulties of the role, such as loneliness, small income and criticism of her husband, but it also gives constructive ways of coping, and stresses the positive aspects and perks of the job. This is a book I wish had been available forty-eight years ago when I started out as a curate’s wife, convinced that I must try to please all of the people all of the time. (Mission impossible!). 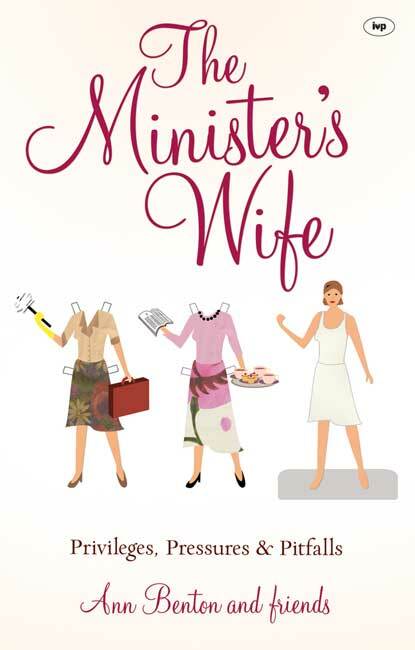 The Minister�s Wife is a thoughtful attempt at providing a handbook for those embarking on a life as a minister�s wife as well as for those already in this role. This is a book I wish had been available forty-eight years ago when I started out as a curate�s wife, convinced that I must try to please all of the people all of the time. (Mission impossible!). Got a question? No problem! Just click here to ask us about The Minister's Wife.